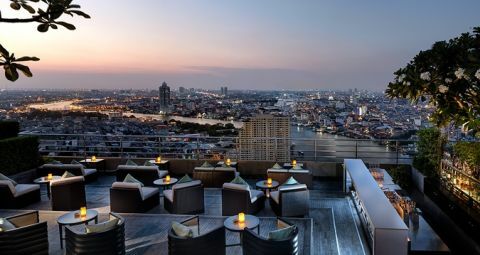 Rising up from the banks of the Chao Phraya River, the hotel offers breathtaking views of the city. 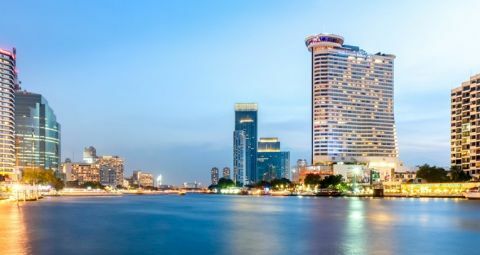 Located in the middle of Bangkok, the hotel operates its own shuttle boats and provides guests with complimentary transport to and from the hotel. The hotel is close to Bangkok’s cultural attractions like the Temple of Dawn, Grand Palace, flower market and Chinatown. Also close by are Bangkok’s unique shopping facilities, Asiatique the Riverfront, Bangkok’s night market. The above rates are inclusive of 17.7%, prevailing government taxes and service, buffet breakfast and internet access in guest room. Extra Bed: THB 1,200 net per person per day including breakfast.